At Fannin County High School on Aug. 15, UNG President Bonita Jacobs (standing) announces the new project to provide college courses to high school students in the region through a high-speed, cloud-based educational exchange. Also speaking during the announcement were, from left, Dr. Susan Brandenburg-Ayres, interim dean of UNG's College of Education; Rep. David Ralston, Georgia's speaker of the House; and state Sen. Steve Gooch. Through a federal grant, the University of North Georgia (UNG) will "Bridge the Gap" to provide college courses to high school students in Fannin County and surrounding communities through a high-speed, cloud-based educational exchange that connects schools in rural communities with the university. UNG President Bonita Jacobs announced the project Friday, Aug. 15 at Fannin County High School in Blue Ridge, Georgia, with Rep. David Ralston and state Sen. Steve Gooch. The $27,500 grant from the U.S. Department of Agriculture will be used to purchase an RMX 2000 video-conferencing bridge to link UNG and rural Appalachian schools that are part of the North Georgia Network's new 10-gigabyte educational exchange. This will facilitate UNG's ability to provide remote access to college courses and dual enrollment opportunities through the state's Accel program, which covers tuition for qualified students. "This technology and the K-12 educational exchange makes it possible for us to deliver courses remotely to high school students, shortening the time it takes to complete their degree," Jacobs said. "Students in communities in close proximity to university campuses have been able to do this for years. Our ability to deliver these same courses online removes geographical barriers and provides that same opportunity for students here and in surrounding communities." 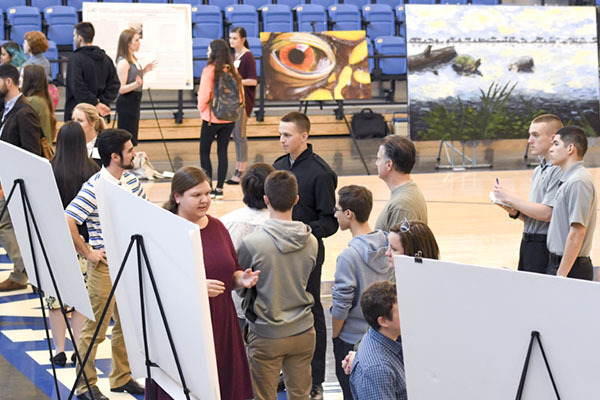 This project supports UNG's Regional Education and Economic Development, or REED, initiative as well as the statewide Complete College Georgia initiative to expand access to higher education, improve the college completion rates, and positively impact economic development in our region. The video conference bridge will initially allow up to 10 schools to simultaneously connect with instructor-led courses from UNG's Dahlonega Campus. Fannin County Schools are part of the new Education Exchange and will be among the first to benefit from the connection. UNG will be working with school systems throughout the region to provide courses, particularly those supporting science, technology, engineering and mathematics (STEM) disciplines. Potential upgrades to the equipment would allow connections for 60 sites. The Education Exchange eventually could provide education opportunities for 27 counties and more than 250,000 students. Ralston, who represents Blue Ridge and also is Georgia's Speaker of the House, said the project will expand educational opportunities for Fannin County students, which could lead to increased economic development. "When you have a work force that is educated and ready, that is the foundation for job creation and for economic development," Ralston said. "I don’t have a higher priority in my public work than making sure that our young people are equipped for the future and the future of this county includes economic opportunity for those young people, that we've got them working in great jobs here in the community and that's why I'm excited about today's announcement." The video conference bridge and network will create opportunities also for teacher training through UNG's College of Education, as well as programs for businesses and adult learners. The university's continuing education and public services division will be able to provide a wide range of professional development courses that lead to employment credentials. 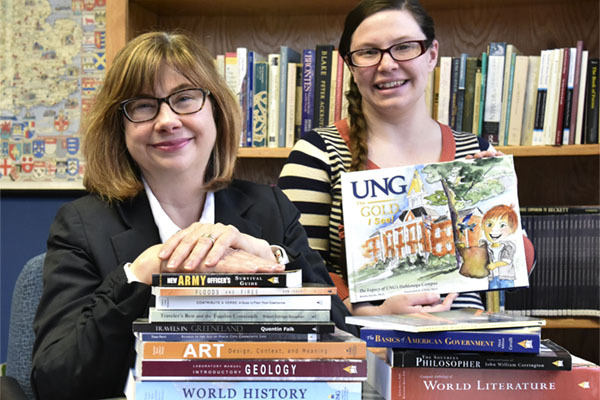 "We are thrilled that we will be able to work with our P-12 partners here in real time and that we can provide courses for students and also graduate programs and credentialing opportunities for educators," said Dr. Susan Brandenburg-Ayres, interim dean of UNG's College of Education. 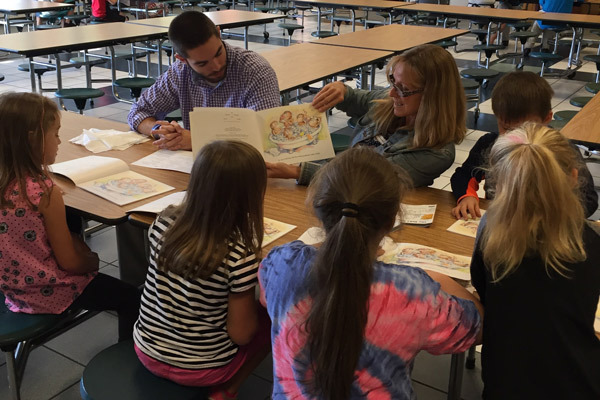 "Our ability to provide professional development opportunities for teachers who are working all day, in a way that they don't have to drive over the mountains at night and sometimes during winter weather, is huge for us. We are limited only by our creativity in the ways that we can exchange information and work together." UNG's investment will be $31,500 for the balance of the equipment cost, installation and maintenance; the equipment will be housed on UNG's Dahlonega Campus, in close proximity to the North Georgia Network's (NGN) POP broadband access point for maximum speed and capacity. While NGN provides fiber-optic connectivity to eight rural northeast Georgia counties at a speed of about one gigabit per second – more than 6,000 times faster than a standard home DSL connection – the cloud-based Education Exchange has a capacity of 10 gigabits per second. Paul Belk, NGN president and CEO, said he is pleased to partner with UNG to serve the northeast Georgia region by providing "world-class connectivity" and tools for students in the region to create their own futures. "We believe that economic development starts with education first," Belk said. "This is a giant step for a university to step in and literally have a virtual world outreach to its feeder schools and we are just glad to be a first to market, really in the United States." The NGN, some 800 miles of fiber-optic cable encircling a region of northern Georgia, provides fiber-optic connectivity to an area with more than 334,000 people in Dawson, Forsyth, Habersham, Lumpkin, Rabun, Towns, Union and White counties. NGN provides the foundation to allow expansions such as the Education Exchange. Sen. Steve Gooch noted the importance of broadband capacity for economic development. "I don't think you have to have bricks and mortar in every town to have a college," Gooch said. "The digital expansion of infrastructure is so important to our economy today. In economic development, years ago, it was always about water, gas and sewer. Today, developers want to talk about your fiber optics capabilities and your bandwidth capabilities. This is a great thing for the University of North Georgia and for Fannin County."